Under Contract with 72 hour kick out clause. OWN A PIECE OF HISTORY IN THE BEST LOCATION IN BREVARD! WALK TO THE BEACH! 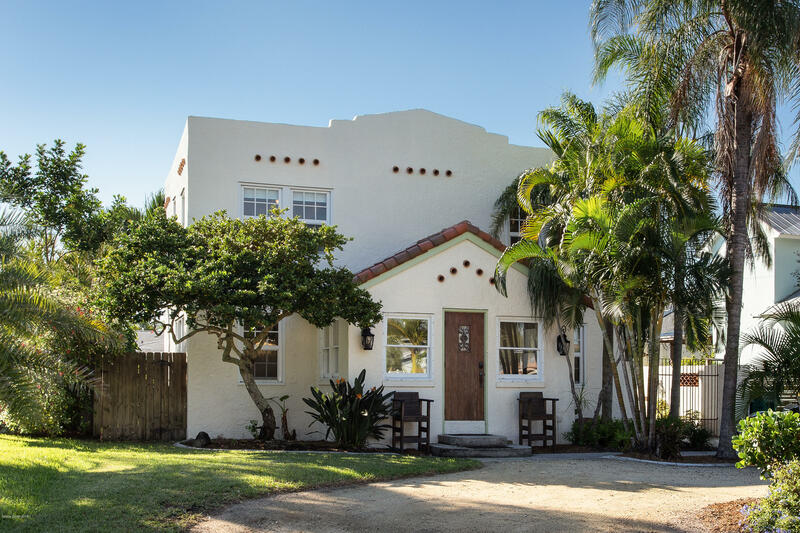 This 1920's Spanish Colonial home has been lovingly restored with many upgrades. Enjoy your morning coffee on the beautiful tongue and groove loggia with Koi pond and fountain or have a glass of wine by your wood burning fireplace. Beautiful Jerusalem stone in the kitchen with maple cabinets and Kitchen Aid appliances. An oversized master with walk-in closet and built-ins, rare pink alabaster on front foyer/sun room, and a huge detached garage/workshop with copper wrapped doors that would be an amazing guest apartment or Man Cave. Inside laundry room, 1/2 bath downstairs. All Original heart pine floors. New AC 2016. Quick access to I95, A Rated Schools!! Move in ready!